of the need for a better way to clean oil painting brushes. Jacqui Blackman, the founder of Zest-it Art Materials, was running oil painting workshops, but suffered headaches and soar throats from the amount of solvent thinners used in the classes. That was the start of the search, to find a solvent to give better class environment for workshop painting. The solvent needed to fulfil the following criteria; it had to clean lots of oil painting brushes without loosing its strength; it had to be non-flammable; it had to be safe for people and the environment; it had to smell pleasant and not cause headaches; it had to be re-usable making it economical for people to use. There was nothing available that fulfilled the criteria, so the hunt was on to find a suitable solvent. That was how Zest-it Oil Paint Dilutant and Brush Cleaner came to be born in 1995, with the Registered Trademark being obtained in 1996. Its name came from the citrus peel oil in the product, which was from the 'Zest' of the fruit and 'clean it', meaning the brush, became "Zest-it". 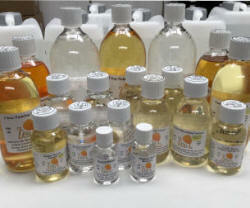 It fulfilled all the criteria being non-toxic, non-flammable and environmentally friendly with an orange smell. Through-out 1995 Zest-it was taken to many landscape oil painting workshops, participants were enthusiastic about using it because the group painting conditions were so much better. 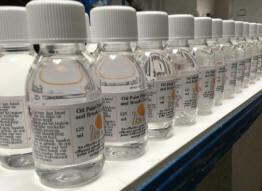 Many were more than happy to test the product, the feedback was entirely positive, both as a diluent and brush cleaner. There was however some disdain from art material manufactures and company reps.
By the end of the 1990's, magazines like the Artists and Illustrator, Paint, The Artists, Leisure Painter, both Professional & Leisure Artists and Art Professors had all tested and reviewed the products with excellent results. Zest-it was the first serious competition 'turps' had encountered as an alternative for artists who painted in oils and were concerned with the environment and their health. Especially as flammable solvents, like 'turps' and 'white spirit' were being actively discouraged in schools, colleges and many public places. Professor Robin Child of the former Lydgate Art Research Centre and The Leith School of Art were the first educational establishments to use our product and still do to this day, we have always been grateful for their faith, support and confidence. We attended many Art Shows and were one of the few that gave oil painting demonstrations on their stand, this gave people the chance to see the product in action and experience it for themselves. 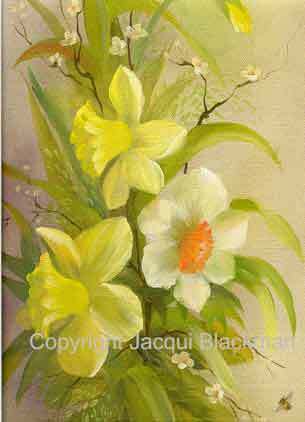 Flower painting workshops were also now very popular, to paint them successfully the oil paint needed to blend well. 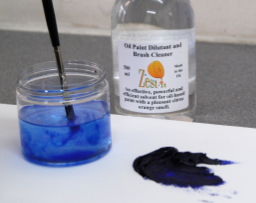 Jacqui developed a Clear Painting Medium, based on Zest-it as the solvent with linseed oil, to make blending the oils easier. 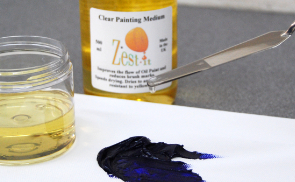 Well tested in the oil painting workshops, it has now become a firm favourite for blending oil paint for many Zest-it users. It dries to a clear, non-yellowing, flexible finish. The Lean Painting Medium was a later edition and for use at the start of an oil painting, often referred to as an under-painting, it gives a good foundation for further oil paint. More products were requested and others were developed, like the Pencil Blend for blending Coloured Pencils, that also has the companion Parchment Blend. Using traditional methods, we made Damar Varnish for a special restoration project and we still make all our Damar Varnish the traditional way. Dip, Fountain and Technical pen and a selection of brush cleaners for oil paint, acrylic paint and wax painting. There are also some new products in progress, these like their predecessors, will have been thoroughly tested and as is so often said about our products, they 'do what they say', because of this our product has a trusted name and logo. 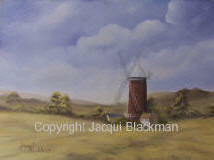 We hope artists using our products will enjoy them and that they help in achieving your artistic results. Find our Zest-it range on the products page, follow the links for hints and tips. Copyright 1999 - 2018 © J. & T. Blackman Ltd. All Rights Reserved Worldwide.